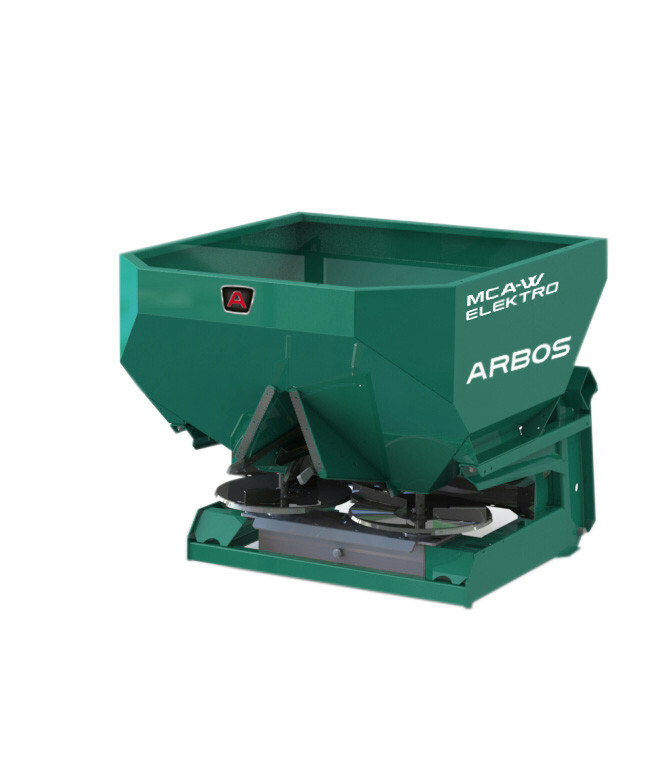 The MCA-W ELEKTRO fertilizer spreader is a compact, accurate machine. It is used for distributing granular, powder and pellet chemical fertilizers. The particular shape of the hopper limits the max. clearance width to 1.10 meters, thus allowing the fertilization of crops with extremely narrow planting layout. The ELEKTRO system allows you to adjust the opening of the dosing sections automatically, according to the tractor speed and the current flow characteristics of the mineral s used for fertilization. Due to automatic filtering, the 4 load cells calculate the different characteristics extremely accurately and reliably, including when in motion.